I started Admiring Light in early 2012 as a way to share my point of view about photography with the world. I’ve been shooting seriously for over fifteen years, and have extensive experience with a wide range of photographic equipment, from the entry-level to the top-of-the-line. When reviewing gear, I strive to provide a shooter’s perspective and pass along how equipment translates to results in real-world situations. My hope is that Admiring Light stands as a trusted resource for photographers with regards to equipment, technique and vision. The name of this site, Admiring Light, came from the idea that as photographers, we strive to capture the light in front of us. The best images tend to come with the best light, and in really special circumstances, all you can do is sit back and admire the light. There is a beauty in this world that is sometimes lost in our everyday lives, and we need to remind ourselves to slow down and just take it all in. I grew up in northeast Ohio and went to college at Cornell University in Ithaca, NY. I graduated in 2001 with a degree in Electrical Engineering, and shortly thereafter was commissioned as a US Army officer, where I served for four and a half years on active duty. The Army brought me to Germany in late 2002, and it was there that I found a passion for photography. I had used a compact film camera since I was in high school for random shots of family and friends, and I got my first digital camera, a fully automatic 2 megapixel brick, in 2001. While traveling in Europe I began to really work on my photography, and by 2003, I started getting serious about the craft. I began reading as much as I could about photography, and would take picture after picture to try new techniques out. Throughout the rest of my time in Europe, my photography continued to improve and improve, and I really began to view it as an art, an escape and a passion. I returned to the US in 2006. I currently live in Columbus, OH, and while I don’t get to travel like I did in Europe, there are opportunities for great photography wherever you happen to be. On the gear side, I shot with Canon DSLRs for approximately 7 years. However, I started to feel really bogged down by the weight and bulk of my full-frame SLR kit and began the switch to a smaller system in 2010. I’ve been shooting mirrorless bodies since then, from Micro 4/3 to Fujifilm X and Sony E mount. My primary camera at the moment is the Sony A7 III, but I still own and use Fujifilm X and Micro 4/3 equipment. All have their strengths and weaknesses, but the key point is that I enjoy photography more than I did when I was carrying the bigger SLRs, and I’m getting better shots without having to lug an extremely heavy bag around. Now, instead of worrying about my back, I can simply focus on the image. Jordan, very cool site. You are off to a great start. 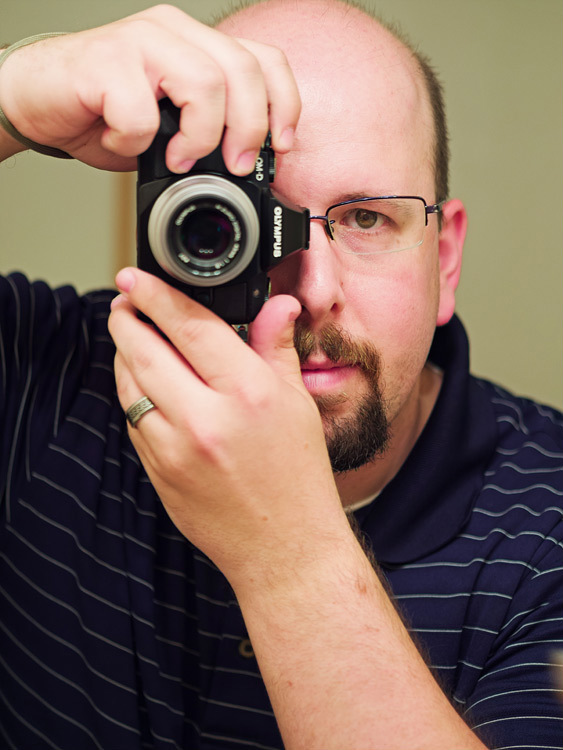 Yours is just the kind of site I want to promote on my blog, Micro Four Thirds Photographer. 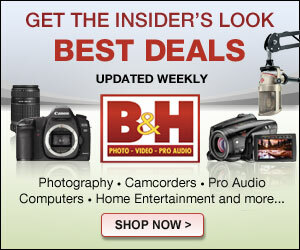 I’m asked frequently, “what is the best camera to buy?”. So, I created a blog to answer that question and to make the public aware of the micro 4/3 format. I believe there is no better way to do that than to direct readers to photographers that are producing fantastic work with this equipment. I’d like to point my readers (when I get some) to your website as a resource. Is that okay with you? I look forward many more images, travel diaries and thoughts on photography. Thank you! I would be happy to have you link to my site from yours. Found you blog via a mention of your Olympus 12mm review on 43 Rumors. I plan to read more about your experiences with mFT cameras and lenses as I can relate to your comment about feeling bogged down carrying heavy dSLRs. This is my year to replace my D300 bodies and I’m seriously interested in the new OM-D EM-5. If I may ask: In addition to the great primes, do you like any of the Oly or Panny mid-range and telephoto zooms? My typical walkaround journalism/street set up is two bodies and two zooms. Thanks. I am looking for more speed in my telephoto zooms, but some of the slow telezooms out there are fairly decent. I’ve owned the Panny 45-200 and 45-175 X, and currently own the Olympus 40-150. The Oly is the sharpest of the three by far, at least from close focus to about 20-30 feet out. It softens a little at the long end on distant subjects. The 45-200 is good, but is quite large, and the longer part of the zoom range is average. Also, I had some inconsistencies with the OIS on that lens. The 45-175X is really well built…as compact as the Oly, but with internal zooming. I really liked the ergonomics of the lens, but I tried two copies and both suffered from IS problems between 1/50s and 1/160s…which would cause double images when IS is on, regardless of your own stability. I’d get sharp shots at 1/20s, but 1/100s would be impossible. Since it doesn’t have an IS switch on the body, it was also a pain to switch on and off through the camera. I returned it after two weeks. So, I’m sticking with the Oly, even without IS, due to its small size and very good optics (and great price), though I’m really looking forward to the upcoming Panasonic 35-100 f/2.8, provided it doesn’t suffer from the same OIS problems. Excellent site, Mr. Steele! I currently shoot a Pentax K-5, with some deliciously sharp Pentax FA and DA* optics. If oyu check my site, though low-res jpegs, it will give you an idea of the image quality I’m obtaining from this kit. That said, I now realize, with the introduction of the new Pentax K-5 IIs, that I am not getting optimum sharpness and detail from my Pentax lenses, which has led me to consider an alternative “travel” system such as the OM-D and the equally sharp Olympus primes. However, I am also considering the new Fuji X100S, which would, I think, make a very comact, light travel kit, while maintaining utmost sharpness and image quality. I am wondering what your opinion is of the following: Which system (Fuji X100S or OM-D) would permit maintain the maximum sharpness and detail in prints above 20×24 inches? I realize that it’s almost an apples to oranges comparison (with sensor size and lens interchangability, but I’m really interested in sharpness and detail. )Thank you. . Very well done website, I am sure I will be a regular visitor. I love your photography and thank you for providing great information that will help me become a better photographer. My experience is similar to yours. I sold all my Nikon and now shoot with the GH2. I plan to buy the new Olympus EM 5 for my wife, and put her Nikon and lenses on ebay as well. The small size of these cameras has liberated me from the bulk of Nikon without any decrease in photo quality. Now with the GH2 I carry it more often, take more photos and feel I am learning more than I did with the Nikon. Generally, having more fun. Came across your site by pure chance and love your site, your teachings and your photos. Like you I had a full frame camera (Canon Mark 1 5D) but after a trip to New York in the winter I found I saw lots of things but took very few photos mainly becasue tof the size and weight of my camera and lenses. i am just about to start my journey into micro 4/3 and am busy doing my research and reading as much as I can. i think I am going down the Olympus OMD 5 pathway. Great inspiring website. Makes me speed up my wish to replace my stolen GF-1. Can you tell me why you choose a GX-1 + EVF instead of a G-3 : same sensor and EVF but more grip with long lenses mounted ? I have the GX1 because I use it without the viewfinder a fair bit as well, mainly when I just pop the GX1 and Oly 12mm and 45mm into a belt pouch for really lightweight shooting. I also own the GH2, so when I need a larger better handling body or will be using the EVF full time, I use my GH2. The GX1 is great because either can be really small, or I can pop on the EVF and have a fully capable backup to my GH2. Great site just found it from a link on 43 rumours. Just a brief request for comment. might have on the 19/20 mm (Sigma / Lumix) comparison. Maybe not so brief, your response or any comments from others would be greatly appreciated. Love your blog, so I checked out your site and attempted to contact you at info@jordansteele.com, but my email was returned with a 550 Mailbox quota exceeded. Please email me back at a valid address and I’ll try again. Sorry about that…mailbox limit removed (didn’t know I had a limit set on that inbox)…you should be good to go to send e-mail to that address now. The f-stop is one of the key components in exposure. The intensity of light hitting the film or sensor will be the same for the same f-stop, regardless of the focal length or actual physical aperture size. If you have a 200mm lens at f/2.8 and an 18mm lens at f/2.8, they both will have the exact same intensity of light hitting the sensor…the same number of photos per unit area. I think the word “photos” should read “photons”. Sorry, I was an editor by profession, and sometimes I can’t help myself. In any case, I’m sure most people understood what you meant. Fantastic article and site, sir! I shall check back often, as I am a photography fanatic, interested in maximum image quality! Thank you again! Love you web site ! Discovered quite by chance your numerous images, miscellaneous postings and then this Website, when I was trying to find information on the Canon FD 50-300mm f/4.5L zoom, about which you have posted more information than any other individual I know of. Enjoy your musings about equipment and techniques, your obvious enthusiasm for the world of imagery and most of all your willingness to share your discoveries with the rest of us. Wanted you to know that your positive remarks about the Canon 50-300mm, along with your many excellent sample photographs, were instrumental in pushing me over the edge to buy a very good used copy for myself. I love shooting wildlife and songbirds in my backyard with this lens mounted on my OMD-EM5. One day I may even deploy it to shoot golf at the local range, as you did. One question, if you will. You mentioned buying a 95mm screw-on metal lens shade to replace the missing original plastic Canon shade for this lens. From photos I’ve seen of your rig, this item looks to be a rather deep Desmond 95mm shade. It appears to fit the lens handsomely, but I wonder if it causes vignetting at the 50mm setting. If so, how long must you zoom before vignetting disappears? Thanks in advance for the information. Will look for your answer here. Thanks for the kind words. On Micro4/3, the hood does not vignette at the 50mm setting. I don’t think mine is made by Desmond…not sure of the brand, but I bought it for like $10 on eBay. Works great, and since it’s the same diameter at the end as it is on the thread side, and has female threads on the end, I just leave it on and screw the lens cap to the hood. This hood does cause vignetting on full frame, however (I have an AE-1 that I can mount it to) at the wider focal lengths. Jordan, thanks for the interesting and informative information on your site. It was great to get your In site on a lot of the photography gear I presently own, plus others I would like to get. I presently use a GH3 plus 8 other lens, both primes and high-end zooms. Soon I would like to add a second camera with the goal of it being capable exceptional image quality plus some of the convenient features I now enjoy with my GH3, but I also want to buy a few more high end primes (Voigtlander’s, Panasonic and Olympus). My stumbling block has been I am torn between only considering MFT bodies that can also use my existing great lenses, or possibly considering another non-MFT’s body that then doesn’t use any of my existing great lens, and in fact will require new additional great, but also expensive glass. I was intrigued by your comment that you recently added the Fuji X-E1 to your gear you are using (I am considering one of the Fuji or a Sony camera bodies myself), so I am interested in your thoughts on how it is going with two different systems. I understand the desire to buy your Fuji equipment and all that potentially adds to your own photography. My trauma and hesitation is enjoying the MFT world and wanting to still add to it, but looking now at some gear outside the MFT’s world – cost and otherwise. Maybe getting the Olympus OM D M1 or a simple, but excellent Fuji X100S makes more more sense for me. I’m finding myself falling in love with the Fujis. I now have the Fuji X-E1, X-M1, Fuji 14, 35, 60, 16-50 and 55-200. I’d consider the Fuji my ‘primary’ kit now, with Micro 4/3 as my ‘secondary’ system. I have pre-ordered the X-E2, as the improved autofocus looks like it could make Fuji truly come into its own. I have a feeling over the next several months, I will likely be maintaining Micro 4/3 for what it does REALLY well….the super small things (toss a body and collapsing zoom or pancake lens in a pocket), macro use (OM-D + Olympus 60 Macro is the best combination for Macro I’ve ever used) and compact supertelephoto. Micro 4/3 is certainly exceptionally capable and the quality really is relatively close to the Fuji’s, but I’m loving the simplified controls and I love the rendering the Fuji lenses have…they all draw similarly, with excellent bokeh and nice sharpness with good transition. The Micro 4/3 cameras are definitely still more responsive with faster AF and will always maintain a size advantage with the lenses. The IBIS on the OM-D is amazing and there are some truly excellent features. I should be getting a review unit of the E-M1 in the next week or so. I follow you often. I’m in engineering too, so hope my comment that ‘notoriety’ is especially used for something bad, is accepted at face value. Thanks for sharing your perspectives. Samyang Optics has been around for over 40 years, but has gained recent notoriety in the past decade by releasing some truly outstanding lenses for SLRs and mirrorless cameras that provide high-end image quality at bargain prices, under a variety of brand names including Rokinon, Bower, Walimex and a few more. Thanks for the comment, though we’ll have to disagree on the meaning of notoriety. Can people use it to describe well known bad people/things? Sure….but it doesn’t have to mean anything other than well known. 2.Chiefly British. a notorious or celebrated person. Now, notorious can mean well known in a bad way, but it also has ‘celebrated’ as a synonym. Love your site. Thanks! Thought it was interesting that we have a few things in common. I was born and raised in Ithaca (graduated from Lansing HS) and was drafted and sent to what was then West Germany and served in the 3rd Armored Division. Like you, my photo journey began there. It began with the purchase of my Minolta SRT101, followed by Oly OM1 & 2 (all sitting on my office shelf). Then Nikon gear for pro work up until I recently switched to M4/3rds (OMD-EM1) for all my underwater and photo journalism gigs. While my journey began 31 years before yours, I find it an interesting similarity. Thanks for the good stuff! Look forward to more…. data to us, kesp it up. Let us discuss the possibility to partner up and create a collaboration that benefits us both. How very interesting that I too live in Columbus and as a hobbyist am where you were gear wise, in other words I think I am going to dump all of my Canon gear and switch to micro 4/3. Since I am on the fence a bit though I think I am going to start with an OM-D E-M5ii and only 1 native lens. I have some old Pentax stuff so a cheap adapter will allow me to see if manual focussing with that camera is a good thing for me or not. That will be the factor that pushes me to either buy a speed booster or sell all my Canon lenses and start buying Olympus primes. I hope i can bother you with a question you probably get a hundred times a day. I’m a long time user of APSC sensor-sized DSLRs, both canon and nikon but haven’t yet bought into either systems lens in any big way. I’m drawn to the olympus models (the OM5- mark II), for their lens options, reportedly great color and metering, and their small size and carry ability. (your pictures from them look fantastic). But i’m hesitant to go micro 4/3rds because of the concerns over smaller sensors being noisier when i use higher ISOs. Thank you Jordan for the best mirrorless reviews. Having bought an X-T1 and 50-140mm f/2.8 I was disappointed by the lesser quality of the 16-55mm f/2.8 as noted in your review and evident in other sample shots. Recently I downloaded sample shots from a later review and found that the colour fringing and lack of edge sharpness at a combination of wide angle, wide aperture and long focal distance was hardly discernible. Also, availability of the lens in shops has been delayed several times. Do you know whether Fuji is still tweaking the lens? When I tested my 50-140 I found that the right of the frame was not as sharp as the left. I was able to exchange it for another example and it is scintillatingly sharp across the frame. Have you heard of this problem with Fuji lenses? I am concerned because I am now in a different country and the shop I contacted said they will not take back anything once the packaging is opened so if I find a similar problem when I buy the 16-55 I will not be able to exchange it. What an outstandingly professional website you have. And the commentators are mannerly and professional too. I’ll be visiting quite frequently in the future, preferentially to a certain other website which shall remain nameless. When do you plan on doing a review of Panasonic GX8? I’m not quite sure, but possibly as early as early December. I’ve got the Fuji 35/2 in now and then I’ll be doing a few m4/3 items, with the GX8 and E-M10 II both on my radar. New Panasonic 25/1.7 as well, when it comes in. As I look at it now, it properly shows the 10 most recent posts. Make sure the feed address is correct in your reader, as I posted above. And it’s now up to date with the 35mm article! Not sure what happened, but great news, thanks. of the complete urls of all your public pages like your linkedin profile, Facebook page or twitter feed? Not sure if you review other accessories – we manufacture a unique TTL trigger dedicated to Fujifilm X-series cameras. They are unique in that they support Nikon and/or Fujifilm Speedlites as one example. Is this something you might be interested in reviewing? I’m leaving off our website info here as this is not intended as a plug, but, you can contact me via the email or website provided in the private contacts if this might be of interest to your readers. I’ve read your blog a lot while deciding on a camera. street getting an E-M10 I got busy with other things and have only recently come back to more. And the interim has allowed me to really appreciate the quality of your reviews,that have to be among the best. e.g. I’ve heard mostly good things about the GX8 but your review put a different and important perspective to it! I’m now getting interested in an RF style m43 body and a Panasonic in particular. I am keenly looking out for your review of the GX85, a camera that falls in my budget and one I like. In particular I would be interested in your opinion of the EVF that seems to have a lot of detractors, the overall shooting experience, and JPEG quality. Apologies if you’re not reviewing this cam, though I’d really like to hear of your experience with this one! I’ve been trying to reach out to you about using your photographs to promote an outreach/education event at OSU – if you could get in touch with me that would be great. Thanks! HI, does a “small” aperture refer to aperture number or size? Thanks. I use that to refer to the physical size, so, stopped down. Also, as an engineer, i think of the numbers as getting smaller too, since it’s a fraction: f / 8 = focal length / 8, and 1/8 is smaller than 1/4, etc. You can use the f-number to see what the effective entrance pupil diameter is as well. on a 50mm f/2, it’s 50/2 = 25mm entrance pupil. Stop down to f/8 and the pupil is 50/8 = 6.25mm in diameter. That’s helpful. Thanks! The numbering system makes sense once you explain it. Great site! I’ve been poking around for a number of years now since I got my X-E1 back in 2013. I have a question: I’m planning a road trip to Hocking Hills. Any good resources (besides your amazing images from May 2014) that you can recommend? Are the hikes to some of these tiny waterfalls and gorges difficult? I really like your site and your approach to photography. Short question: Do you plan a review of the Sony FE 16-35 2.8 in the near future? I’m looking forward for that ! I just happened upon this site b/c I was researching the Sony 50 1.4, and I looked at the bike photo and said – is that Columbus? Came to the about page and got confirmation. So cool how much is in Columbus. Same was I felt when I realized that Midwest Photo is here. I’m over in New Albany and have been for the last 4 years. Too cool. Great site keep up the great work. Hi Jordan, I keep coming back to admiringlight and find it to be really unique among review sites – reading reviews and other articles really gives me a sense of those nuances that affect the user experience. I’ve now moved on from m43 and am readying to get into the Fuji system, so it’s a pleasure to see that you’re also really invested in that system. I have to say I am holding on buying the X-E3 with the 23mm f/2 till I read your review! Hope you to see it soon. I enjoy and respect your reviews enormously. Thank you for the hours and hours of work you lavish on them. Whilst I’d rather spend my time out taking photos, I’d like to do some simple lens tests to understand sharpness at different apertures and relative sharpness of my zooms vs primes. I notice you photograph books and prints, not charts. I’m assuming that I should/could use a well-lit map, set a custom WB and move the camera on a centreline such that the field of view of the lens is filled by the subject. I know some recommend a newspaper but it’s rare that you photograph entirely black and white subjects in the real world. Would you add any further thoughts or recommend something different?